Wapato Lake National Wildlife Refuge, located along the Tualatin River near Gaston, Oregon, is one of the nation’s newest refuges—and a site of critical importance to the health of water, wildlife and people across the Portland metro area. For almost a decade, Clean Water Services, Tualatin Valley Irrigation District and the Joint Water Commission have been working with the US Fish and Wildlife Service to develop a strategic partnership. These partners have collaborated to evaluate the potential impacts of a set of habitat management alternatives on wildlife populations at Wapato Lake NWR as well as urban centers downstream. 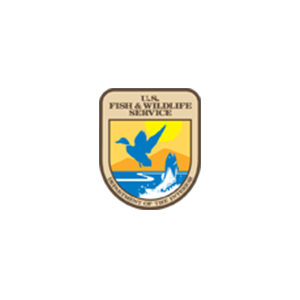 The Fish and Wildlife Service released a draft Environmental Assessment of these Habitat Management Alternatives for public comment in the spring of 2017. Also in 2017, USFWS was able to reallocate deferred maintenance dollars to the pumping infrastructure replacement project due to the critical role it plays in facilitating full restoration of the lakebed. Today, Wapato Lake is at a crossroads. Historically, the Wapato lakebed filled and receded with the rise and fall of the Tualatin River. A pump system and earthen levees, designed to facilitate farming, were installed in the 1930s. More than 80 years later, the economic and public health risks of this aging infrastructure had become evident. In the summer of 2008, several breaks in the aging levees led to the release of stagnant, algae-laden water into the Tualatin River, which is the drinking water source for 400,000 residents. The releases affected not only drinking water treatment, but also major industrial users such as Intel; agricultural irrigators; fish and wildlife; and recreational use. Two years later, the primary pumping facility for Wapato Lake failed. With emergency funding and borrowed portable diesel pumps, the partners averted further algal blooms. The challenge at Wapato Lake involves not only aging infrastructure, but also the level of collaboration, funding and expertise needed to transform this expansive and critical site into a haven for wildlife and an asset to the surrounding communities. A decade’s worth of effort has transformed the community’s capacity to address these challenges. Clean Water Services, the US Fish & Wildlife Service and other partners have forged a strong alliance that is prepared to execute and sustain the physical changes called for at Wapato Lake. With sufficient resources, partners are prepared to replace the aging pump infrastructure and take the first steps toward full ecological restoration. These actions will protect water quality; create diverse wetland and riparian wildlife habitat; and protect the interests of downstream industrial, agricultural and recreational users. In the rural context of the upper Tualatin River, the 800-acre Wapato Lake NWR will serve as an anchor site in the vast network of publically owned wetlands, floodplains, waterways and upland forest that stretches from the Coast Range to Forest Grove. In the larger regional context, Wapato Lake will be a vital addition to the 25,000 acres across rural and urban Washington County already under management by this unique collaborative conservation effort. Ultimately, it will create greater access to nature for the entire Portland region, providing a diverse urban audience with unique opportunities to connect with fish and wildlife close to home. Wapato Lake has been identified by the Pacific Birds Habitat Joint Venture and the Oregon Conservation Strategy as a high priority for restoration. Strong support for Fish & Wildlife funding at Wapato Lake NWR is a necessary condition for the continued transformation of this key component of the landscape level restoration effort in the upper Tualatin River Watershed. Download a printer-friendly version of the Wapato Lake case study.